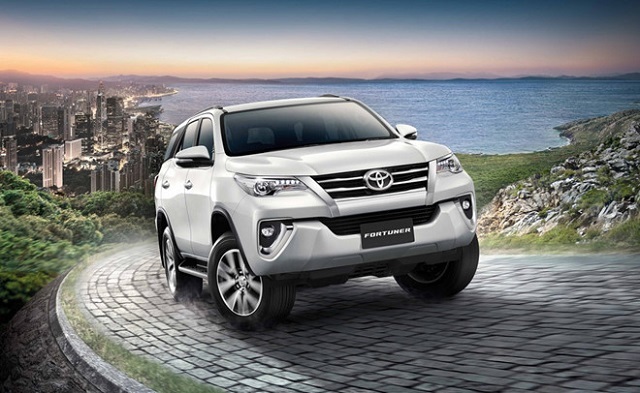 The Toyota Fortuner is a mid-size crossover SUV which has been present on the market for over a decade. It is based on the Toyota Hilux pickup truck. We also know it as the Toyota SW4 or Toyota Hilux SW4 and it is most popular in Philippines, Thailand, and India. The second generation model has arrived in 2017 and then the carmaker presented the 2018 Fortuner which has brought just some minor upgrades considering upgraded infotainment system and other minor changes in the tech department. Now, the newest reports suggest that the manufacturer is soon planning to reveal the newest 2019 Toyota Fortuner. The second generation of this model has gotten more aggressive styling with sleeker and edgier appearance. So, the 2019 model year will most likely carry over the same design. We also don’t expect any changes as well. And the only upgrades which Fortuner might undergo are some additional new features. In the engine front, it will arrive with the same engine options as before. It will be available in three variants which include GX, GXL, and Crusade. As for the powertrain, the 2019 Toyota Fortuner should use the same engine options as the current model. And it is available with three unit options. So, the one is a 2.4-liter inline-4 diesel. This engine is capable of making 149 horses and the torque of 253 to 300 pound-feet. It will work with a 6-speed manual or a 6-speed automatic transmission. The next option is a 2.8-liter inline-4 which has the output of 177 horsepower and 310 lb-ft of torque. The last one is a 4.0-liter 6-cylinder engine with direct injection. This engine will be able to develop 278 hp and 277 pound-feet of torque. The 2019 Toyota Fortuner will inherit the same styling of the current version. It is underpinned by the same platform which is used in Toyota Hilux and naturally it will get the similar wagon-like profile. Generally, the Fortuner looks a bit aggressive with sharp and prominent lines. The front end sports a two-slat grille and a pair of narrow LED headlamps with LED daytime running lights. Bellow –the grille, there is a muscular and sporty bumper with LED fog lights. The base version rides on the 17-inch alloys while the higher trims will receive 18-inch alloy wheels. 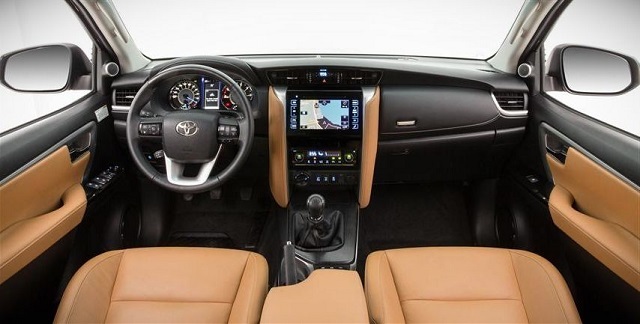 The interior of the 2019 Toyota Fortuner features three rows of seats and it is able to place up to seven passengers. The seats are upholstered in fabric in the base trim and the range-topping versions will add leather. The standard equipment of the Fortuner include Bluetooth, LED taillights, sound system with 6 speakers, a multi-function steering wheel, rear parking sensors, and a rearview camera. The GLX model will add navigation, keyless entry, and start, hill descent control, Toyota Link app etc. In the Crusade trim, you will also find JBL audio system with 11 speakers, bi-LED headlamps, heated 8-way power-adjustable front seats etc. 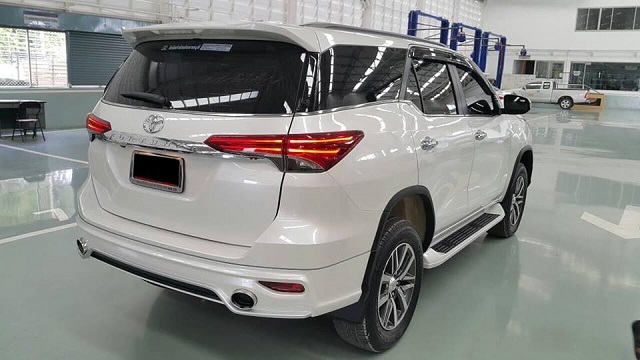 The release date of the 2019 Toyota Fortuner is not yet known. The price will stay close to the current one which starts at around $43,000. Thank you for your reply spring rock. Excellent advice, I’m sure Toyota global will read the comments section of this article and change the Fortuner suspension world wide based on your suggestion.